“The moral symbol of respect for human beings is the trader,” as John Galt instructs. Self-reliance, which Ryan falsely construed as the trader’s most essential characteristic, became Ryan’s supreme ideal. . . . The splendid isolation of the trader, the builder, the innovator, the entrepreneur, the superman, does not exist. It is one of the many flattering legends that successful people in this country devise about themselves. (Like the legend that success is a proof of personal virtue.) The individual—even the individualist individual—is always situated densely in the customs and the conventions of society. The trader’s key skill is arbitrage: finding mispricings in the market and taking advantage of investor psychology, macroeconomic conditions, timing, and volatility. This requires an intense awareness of who else is on the other side of the trade. It involves Other People’s Money. The cumulative actions of others can change a security’s valuation and market dynamics. Effective trading involves thinking several steps ahead — knowing that other fund managers and traders will be doing the same. This involves both immersion in society’s financial markets and the trader’s cultivation of self-sovereignty as a separateness from it: standing apart to evaluate the probable market dynamics, risks, and arbitrage opportunities. It is why many traders begin with Gustave Le Bon, Charles Mackay, Jessie Livermore, and Charles P. Kindleberger. The ‘isolation’ ideal evolved from Ayn Rand via the 1980s Masters of the Universe to contemporary hedge funds, quantitative funds, and high-frequency trading firms. Exhibit A: Christopher Lasch‘s The Revolt of the Elites and the Betrayal of Democracy (New York: W.W. Norton & Co, 1995) which Lofgren mentions in his final paragraphs, and which I read a review copy of in 1996. I recall Bertram Gross also raised this possibility in Friendly Fascism: The New Face of Power in America (New York: M. Evans, 1980) which later inspired Consolidated‘s album Friendly Fa$cism (Nettwerk, 1991) — a radical activist band not on the playlist for this year’s Republication National Convention. But bear with me. What if, this time, complex uncertainty really is the order of the day, indeed, of the next two decades? In the 1990s the Global Business Network‘s Peter Schwartz popularised scenario planning as a methodology to deal with complex uncertainty. John Petersen’s Arlington Institute considered wild cards and side-swipes. The political scientists Robert Jervis (System Effects) and James N. Rosenau (Distant Proximities) have explored the kinds of causal interactions and second/third-order effects that Medcalf suggests about the global order and trends. Perhaps we’ll all be reading Nassim Nicholas Taleb‘s new book Anti-Fragile when it’s released in November. “Since the day my government took office, I have respected my constitutional obligation to seek peace, and we have undertaken exploratory talks with the FARC, to seek an end to the conflict,” Santos said in a speech to the nation. Colombia’s Pastrana Administration attempted and failed to have disarmament talks with FARC in the late 1990s. To-date the Santos Administration has continued the previous Uribe Administration’s policies including the Colombian Army’s use of counterinsurgency strategy to regain control of geographic areas that FARC controlled, and a decapitation tactic to target FARC’s leaders. The new initiative appears to be a pincer movement that combines military action and using the ‘exploratory’ peace talks to marginalise FARC’s peasant support. The Guardian reports that FARC has both signalled its readiness for peace negotiations and has escalated its violent attacks. Nick Denton’s Gawker site has released 950 pages of documentation on Mitt Romney’s Cayman Islands private equity and hedge fund investments. Henry Blodget’s BusinessInsider is skeptical, but this cache could keep me busy for months. Dangerous Minds‘ Richard Metzger sums up how I feel: “The idea that these documents are, currently, as I type this, being analyzed by crowd-sourcing is either a fortunate or very unfortunate fact of political life in 2012!” Vanity Fair‘s Nicholas Shaxson has a useful backgrounder on why hedge funds use the Cayman Islands domicile for offshore tax minimisation. The 1998 collapse of the hedge fund Long-Term Capital Management is a case study in intellectual hubris. I read Roger Lowenstein’s When Genius Failed whilst writing a 2003 foresight post-mortem on LTCM (PDF). There were several different explanations for LTCM’s failure. One group blamed Russia’s default in August 1998 as an external, exogenous shock that blind-sided the firm. Another group blamed LTCM’s Nobel Laureates and traders. A third group found deep divisions in LTCM and blamed the firm’s computer systems. Ludwig Chincarini‘s new book The Crisis of Crowding: Quant Copycats, Ugly Models and the New Crash Normal (New York: Bloomberg/Wiley, 2012) revisits LTCM’s demise and argues that it foreshadowed the 2007 crisis in quantitative firms and the 2008-09 global financial crisis. Wiley has posted chapter excerpts whilst Brenda Jubin has a positive review for Reading the Markets — Chincarini looks to have written a very interesting book on rational herding in financial markets (PDF). 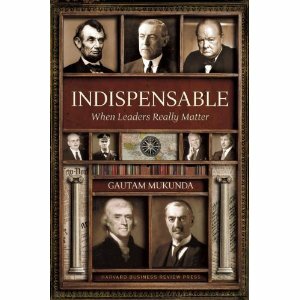 Strategic foresight colleagues have positive things to say about Gautam Mukunda‘s new book Indispensable: When Leaders Really Matter (Harvard Business Review Press, 2012). An erudite but vacant young man, Eric lives mainly within the pulsing circuits of electronic information. We can feel DeLillo’s loathing for the dematerialized world of financial manipulation; he makes Eric a kind of science-fiction metaphor of a human being, and Cronenberg cast the right man for a living cyborg. Pattinson has large eyes, heavy eyebrows, a soft voice. He’s sombre and quiet, a minimalist actor, but he has just enough tension to keep us interested in this intelligent creep. For Eric, the past doesn’t exist, the present is simply money zipping around the globe, the future is his to inhabit. 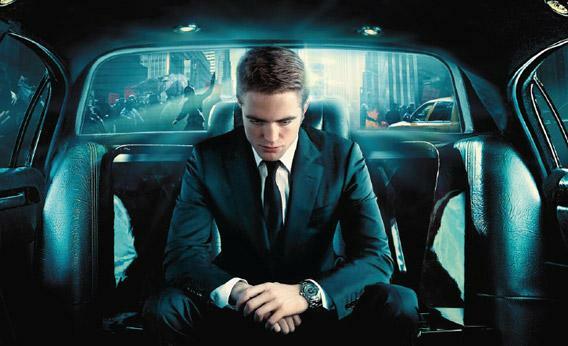 Inside his car, he lives at a still point, but the market economy creates hysterical activity all around him. Though DeLillo wrote the novel a few years after the tech collapse of 2000, it now seems prescient about the much greater collapse of 2008. “We’re speculating in a void,” as one of the twerps says, but that remark no longer sounds extravagant—not after billions of dollars bet on derivatives and “synthetic credit products” have disappeared into the air. And the book’s anti-capitalist theatrics in the streets seem a very accurate anticipation of the Occupy Wall Street movement. DeLillo even understood the ambivalence of the protest: did these people hate capitalism or were they afraid that they had been left behind by it?